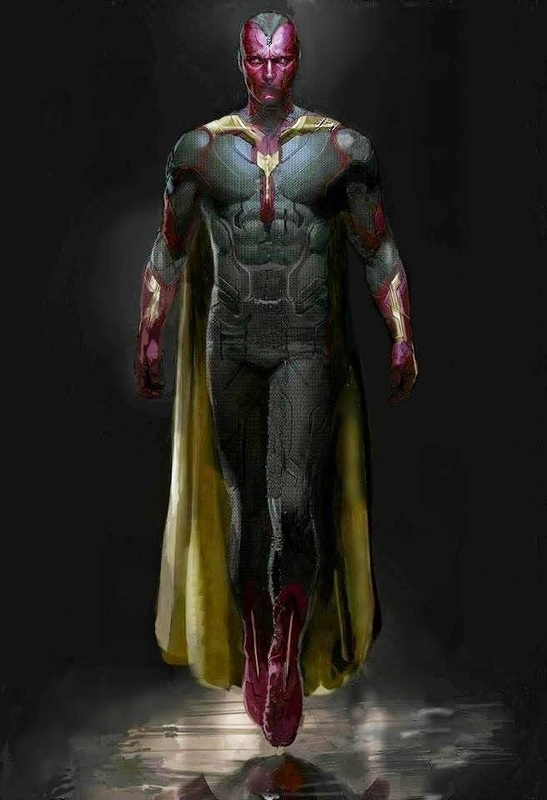 Just in case you missed it, here is a concept art work featuring Marvel Studio's version of Vision for The Avengers: Age of Ultron that will be played by Paul Bettany. Again, Marvel proved that comic book design is practical enough for films. This is definitely wicked. I'm so excited to see the actual look of Paul Bettany as Vision. I'm sure it will be awesome. Opening next year, The Avengers: Age of Ultron is from Marvel Studios, to be distributed by Walt Disney Pictures.